Salford Group agricultural equipment provides better soil mixing, fall residue management, nutrient application, and seed bed preparation. At Salford Group, we are committed to improving the economics of farming with the best available solutions in tillage, seeding, fertilizer application, and attachments. When producers invest in solutions like the Salford Independent Series of primary and secondary tillage machines, Salford BBI spreaders like Javelin and MagnaSpread Ultra, the airflow technology of Salford Valmar, or advanced aeration from AerWay, they know they’re getting durability, versatility, and precision to take their operations to next-level performance. 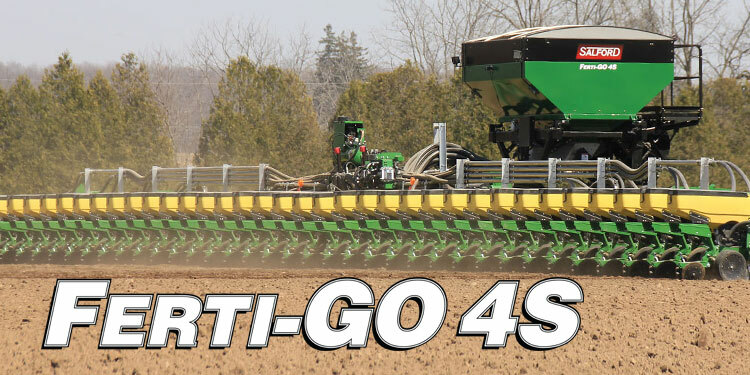 Salford Group, with facilities in Iowa, Georgia, Ontario, Manitoba, and Russia, is a global leader in the manufacturing of tillage, seeding, and precision nutrient application equipment. The company dedicates its ongoing innovation efforts to precision, durability, versatility in the field, and improving the economics of farming for producers worldwide. It's an exciting time to be a part of Salford Group, as the company launches breakthrough products like the 9620 high-capacity air boom applicator. Visit the Contact Us page to send questions directly to Salford Group on any product line or see the contact information for each Salford Group location.